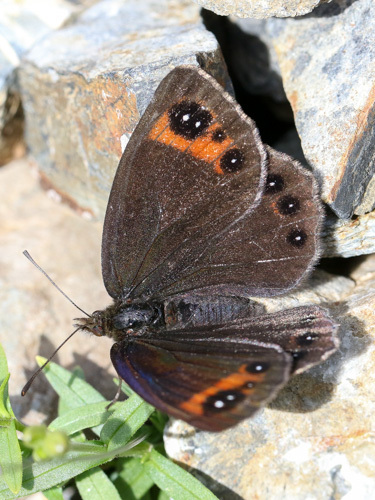 A distinctive species sporting bold brightly pupilled black spots. 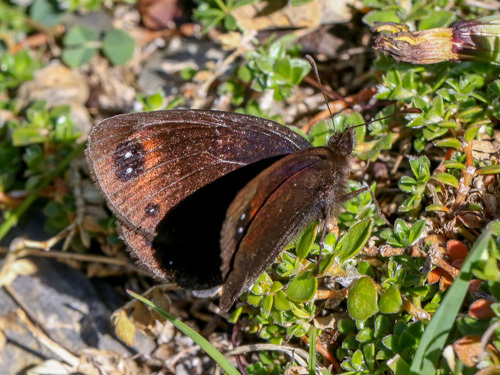 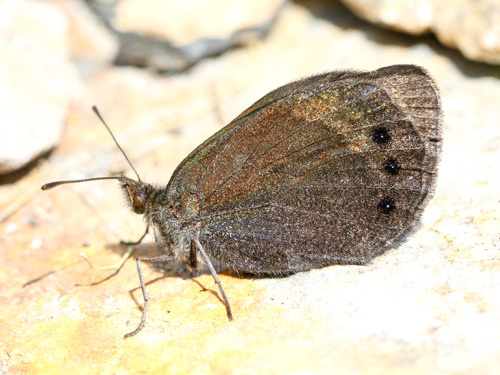 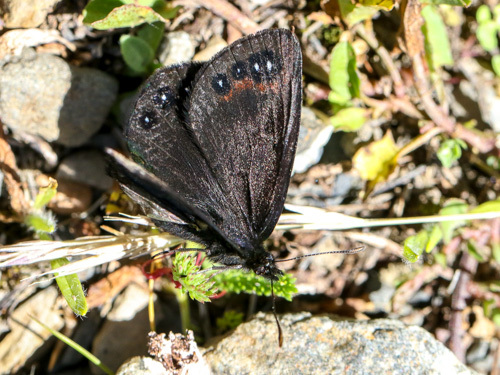 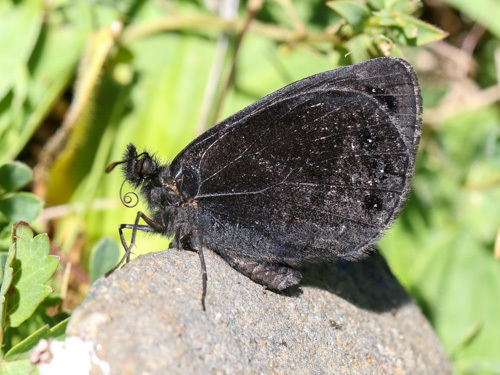 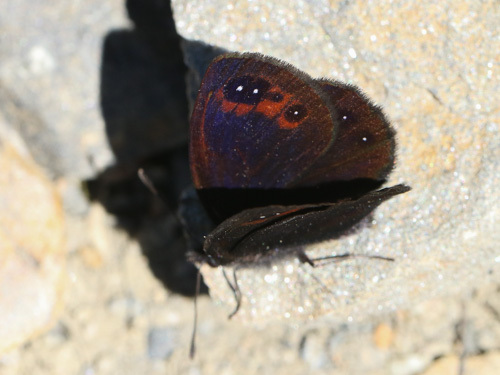 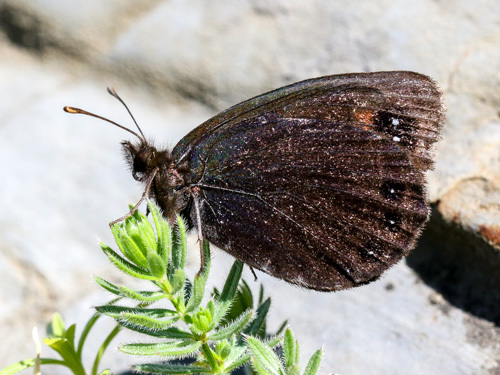 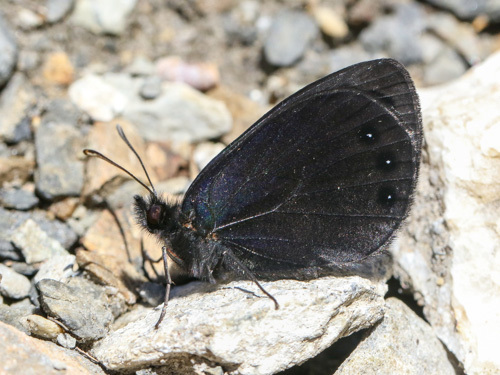 Identification & Similar species: A very dark black butterfly, the pupils are distinctive. 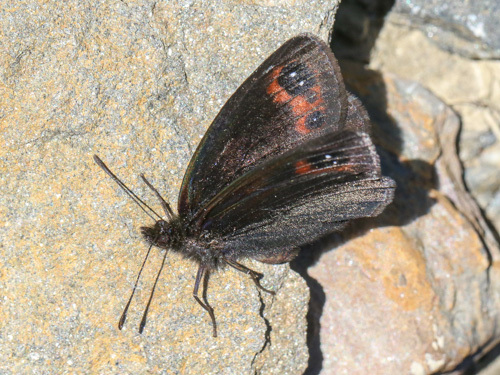 Females have lighter brown undersides. 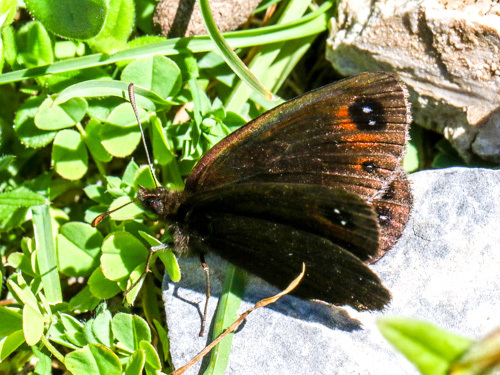 It's unlikely to be mistaken for other species in this area. 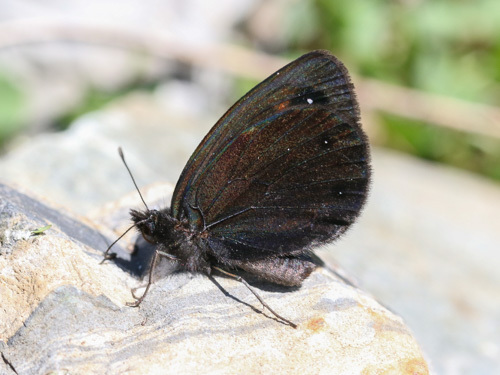 Distribution & Flight: Only from the mountains of the Pyrenees and NW Spain. 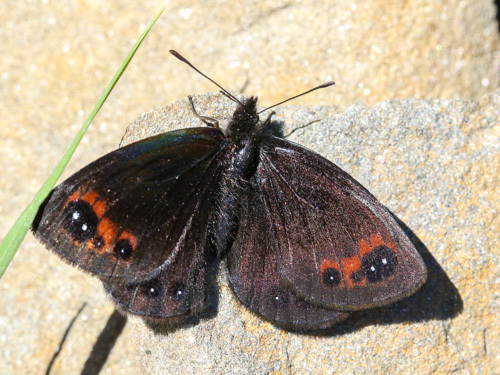 Flies at the end of June and into August, variable according to location, altitude and season. 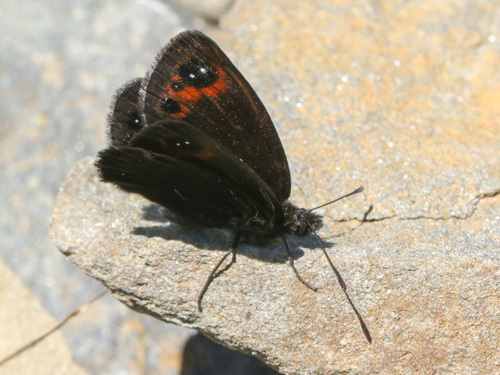 It's appearance appears to be difficult to predict. 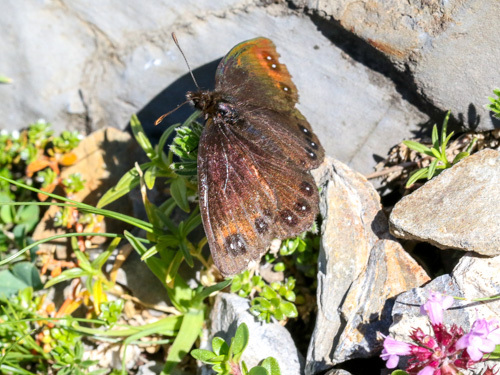 Habitat & Behaviour: An alpine butterfly of steep screes, visiting neighbouring flowers and grasses. 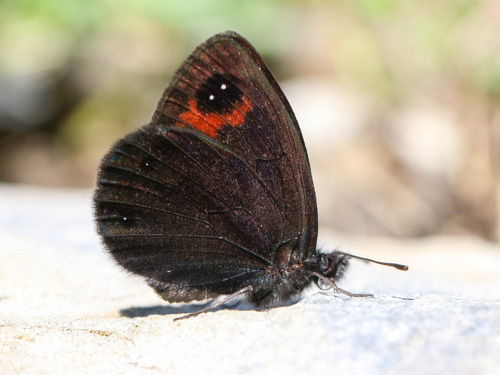 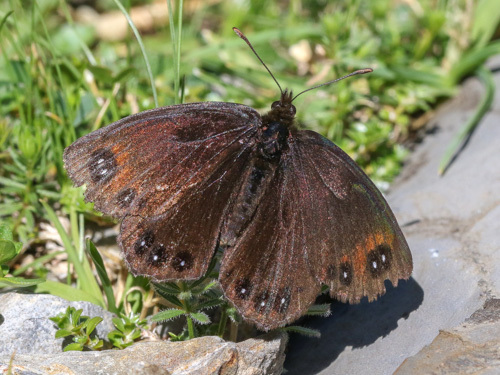 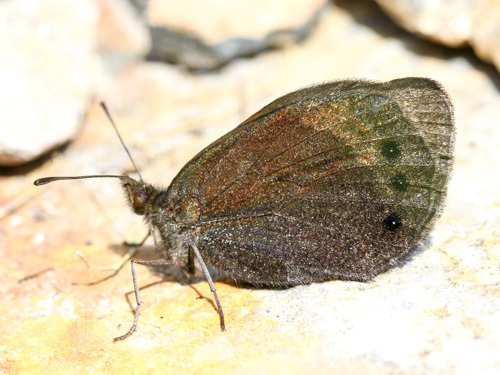 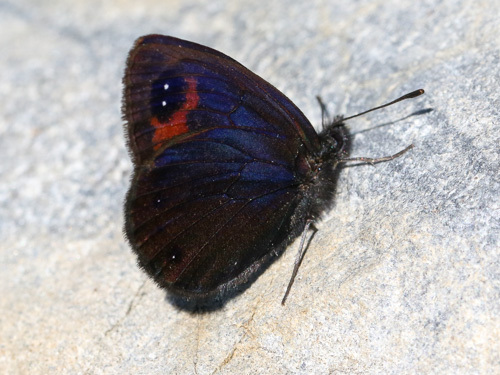 Variation: The subspecies from the Picos de Europa, astur, and parts of the Pyrenees, pyrenaea, are particularly dark with much reduced red markings. 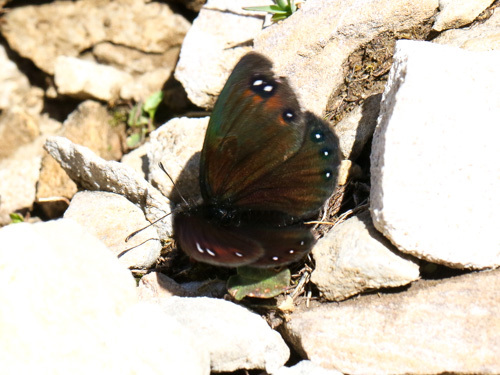 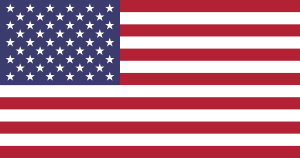 A slight change of angle and an unusual green sheen appears.